That is a pretty interesting set of numbers. As a company focussing on Electronics Design and Embedded Software Development we usually focus on the technology side of everything we do. 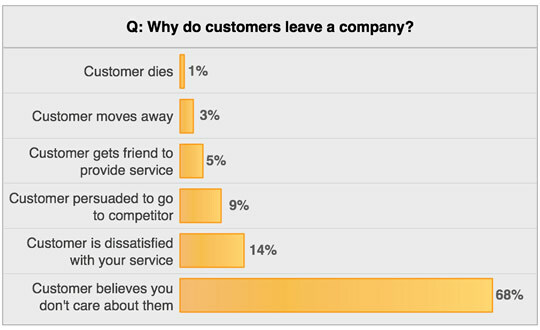 But these numbers clearly show that we have to also be aware of how our customers feel about what we are doing for them. So it isn’t enough to really care, they have to know you really care. So next time I’m designing a new Printed Circuit Board or write some Embedded C and communicating with the client about the technical details, I’ll also be thinking about whether they know we are looking after them and care about the outcome for them and not just the technology.